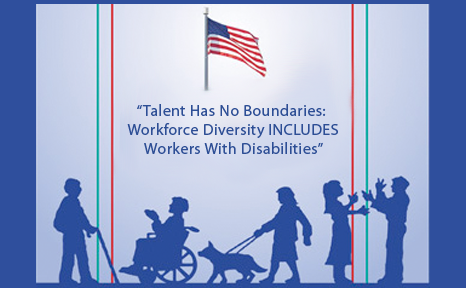 All savvy employers should know by now that providing equal opportunities to people with disabilities simply makes good business sense in the 21st century global economy. This is especially true in a competitive U.S. labor market. Unfortunately, not every company has gotten the message. The Americans with Disabilities Act (ADA) was signed into law by President George H.W. Bush on July 26, 1990. This sweeping statute has opened the doors of inclusion and gainful employment to millions of citizens with disabilities nationwide, which has helped to boost business productivity. Why have women waited so long to tell their stories of sexual harassment, discrimination, pedophilia, abuse, and discrimination? How do we as individuals and as a nation process this tidal wave of #MeToo information as people come forward? I’ve hesitated to tell my stories of sexual harassment because I’ve never been able to comprehend and digest them. The first time I experienced my feminine vulnerability, I was only four years old. I was playing outside in the garden of our home in Bermuda, when a teen-age neighbor squatted down next to me as I was playing with my favorite marbles in the garden. Smiling at me, he reached under my skirt and stroked my privates through my underpants. Before he walked away, he made me promise not to tell my father, silencing me. Providing patient care without regard to race, ethnicity, gender, or religion is a core value of all medical professionals. However, do they extend the same level of tolerance, stand against prejudice, with other members of their profession? On Christmas Day 1938 the head of the Bahá’i Faith, Shoghi Effendi, wrote a very important letter to the Bahá’i communities residing in the United States and Canada. (The letter was later published as a book under the title The Advent of Divine Justice.) It was the eve of World War II. The Empire of Japan had already invaded China in July 1937. In March of 1938 Nazi Germany had absorbed Austria into the Third Reich. In September 1938 the Germans forced Czechoslovakia to cede part of its territory to Germany. On November 9, 1938 many German Nazis attacked and destroyed Jewish businesses and synagogues in the pogrom later known as Kristallnacht (Crystal Night). Against this background of world events, Shoghi Effendi wrote this letter.